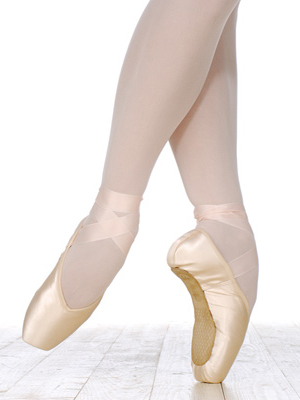 This shoe features a deep vamp and the same shape as the VAGANOVA. This is a good shoe for longer toes, or if big or 2nd toe is long. Also good on narrow feet or feet with wide metatarsal and narrow heels. Available in soft, medium and hard shanks, without drawstrings.